Battle Mountain is a small town in north central Nevada, located on the Southern Pacific main line across the state. It was also the jumping off point for the long abandoned narrow gauge Nevada Central. Here the Southern Pacific and the paralleling Western Pacific continued a track sharing agreement dating to World War I, in which westbound trains of both roads used the SP and eastbounds used the WP. (The WP's station was at North Battle Mountain, several miles to the north). 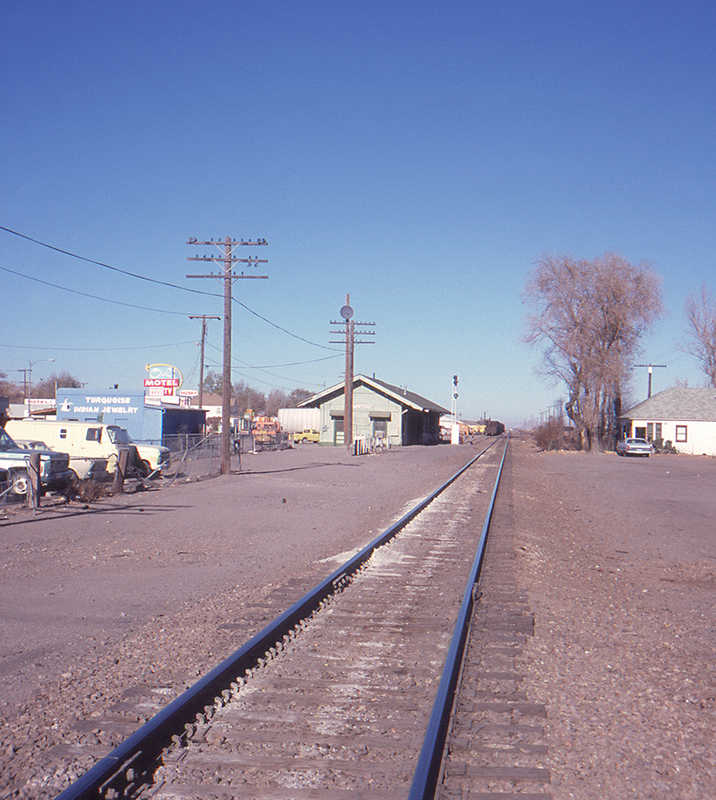 Today both roads are part of Union Pacific, but presumably the same running practices remain. This view is looking west.